A great business model aligns your costs, invoicing, and payment collection with the delivery of value to your clients. If you are hoping to collect monthly fees from your clients, make sure your service has, at the very least, a monthly deliverable. Delivering value when asking for payment is the best way to eliminate fee disputes and will result in higher customer satisfaction. Deliverables: What outcomes will the client receive with this service? Timeframe: How long will the project take? Or, for recurring services, how frequently will you deliver your service? Limitations: This is the scope creep killer. Are there any caps on your deliverables? 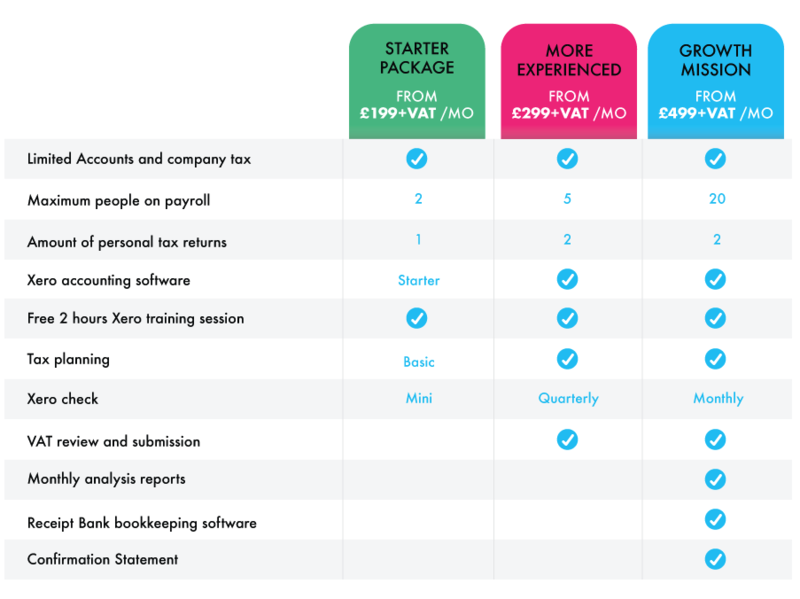 If your accountant, how many employees are included in your payroll service? If you deliver marketing services, how many ads per month are included in the scope? Tiers are the go-to pricing strategy for SaaS (Software as a Service) companies just like Practice Ignition, as they are scalable for both the business and the customer. Tiered service packages are amazing for setting clear expectations. As your clients’ needs change, they move up to the next tier. If you’ve priced them correctly, the Cost per Value Metric should go down as they move up and expand their utilization of your service. Soaring Falcon Accountancy from the UK shows us how they use value metrics to differentiate their baseline packages. In this case they have payroll and tax returns as value metrics.